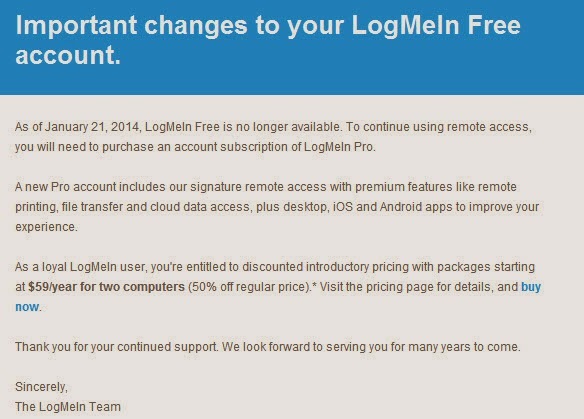 As of January 21, 2014, LogMeIn Free is no longer available. To continue using remote access, you will need to purchase an account subscription of LogMeIn Pro. LogMeIn will not be offering any free versions anymore. I will probably move to TeamViewer or even VNC or simply use RDP.